I recently called DNG Building Services to get a quote for a conservatory. The quote they gave me was fantastic and after getting them in to do the work, I can say that the finish and level of service was also excellent. I am extremely happy with my new conservatory! DNG did some work for me back last summer. They knocked my living room through into the dining room and installed a beam to support the weight of the ceiling. They were very polite and explained every step of the way. I have no issues in recommending them to people I know. Dave and his team came on a recommendation to me from a friend. Although the works I wanted carried out were only minor, they still assessed the job fully before offering a quotation. I was happy with the quote and chose to go ahead! They did not let me down! I have used the guys at DNG several times in the last 5 years and I can honestly say they have never let me down once. I am always happy with the quotes they give and the staff are always friendly and polite. Great team! They constructed an outbuilding for me and were able to out quote all of the local builders without sacrificing on the quality of work. I then suggested my sister use them, and they gave her another great quote and are due to start working on her extension in the near future. What an excellent service! Dave and his team cleared up everything for me as I was worried of the costs and stress involved with extending my home. The assured me they would act quickly and gave me the extra space I needed before my new baby arrived. They gave it 110% and now I have a bigger kitchen/diner and a 4th bedroom which the whole family are overjoyed with! I used this company for a loft conversion to give me and my family more space in the house. I now have a 4th bedroom with en-suite which I am overjoyed with. The team worked very hard to get my conversion done on time and I cannot thank them enough! 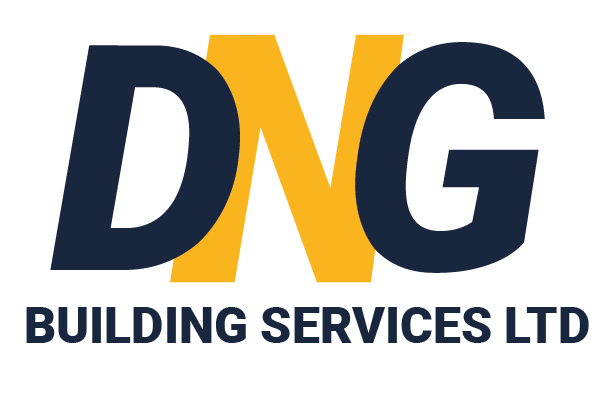 As a property developer who has worked with DNG for some time now, I can say that these guys are some of the best I’ve come across. Always on time and with that same can do attitude I seen when I first used them back in 2007. You don’t find many teams like that so its great to see. Keep up the good work guys! I dealt with DNG on my mums behalf to arrange having a conservatory put on the back of her house. Everything went smoothly and my mum and dad now have a new place to relax.